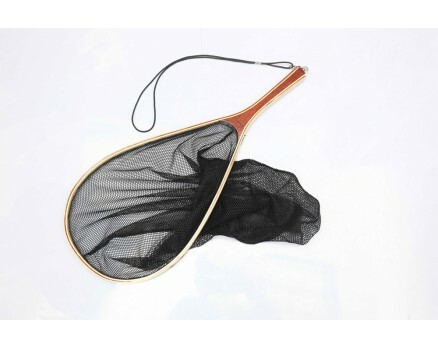 The Classic wooden hand net totals 63cm in length, with a head measuring 42cm x 27cm. The knotless, rot-proof bag is 50cm deep. 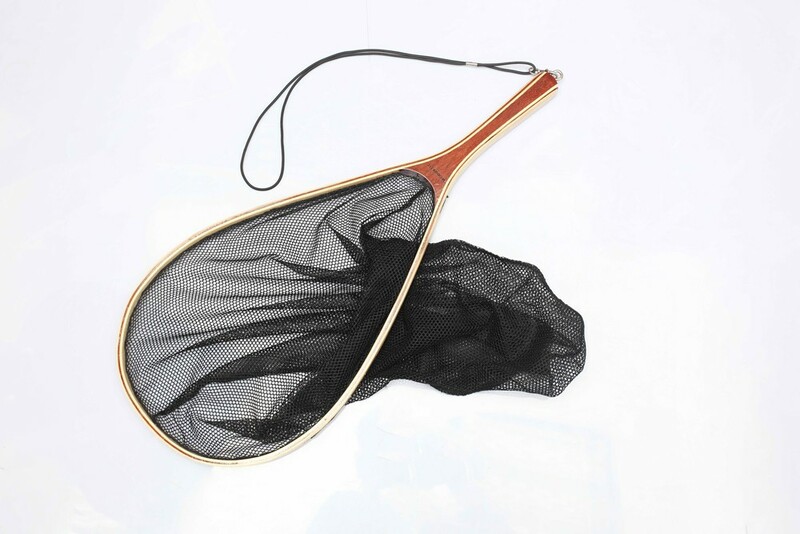 The attractive high quality bamboo frame with luxury wood inset makes the net extremely light, ideal for use when wading but also with its reach excellent for landing fish from the bank. The net features a convenient loop for carrying. A magnetic release is available for carrying on the back. The McGREGOR FLY logo is located on the wood inset and the net is packed in a strong white cardboard box for storage.